Sometimes I talk too fast. And just as often I use idioms or phrases that are lost on a non-native speaker. Add to that my bad habit of going for the worst of puns, and you can see how I’ve baffled more than a few people in my world-traveling life. It’s something I have to keep in check here in Egypt. So when I saw the frowns on the faces of the guys from Alexandria, when I told them about how the bulletin board fell on little Stanley Lambchop, and it crushed him as flat as a pancake, thin as a crepe, I should have gotten the hint that they missed some information. Maybe they didn’t get the part about it being a children’s story. 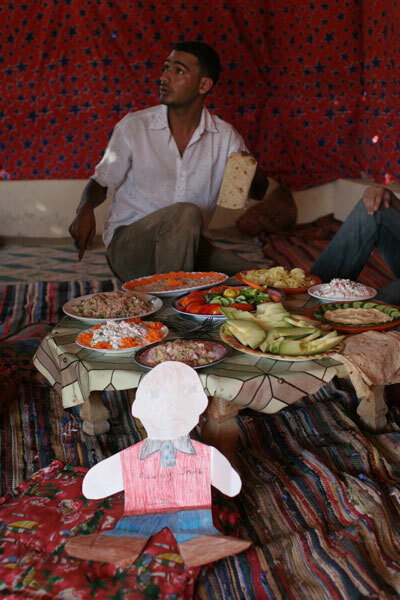 And when I pulled out the “flat-simile” of Stanley, made by a friend’s son, and started taking pictures of him at the Bedouin lunch table, they thought I was taking shots of a paper doll to commemorate the life of a young boy who met his grisly demise in a horrible bulletin board accident. Affirmative… they didn’t get the children’s book part. 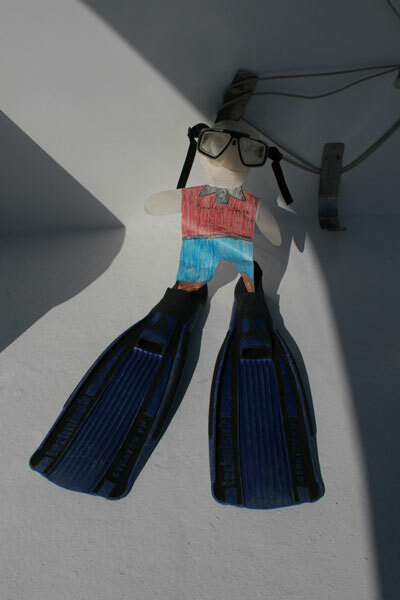 In the book, Flat Stanley discovers, after losing his battle with gravity, a benefit of being wafer thin is that he can be folded up into an envelope and sent anywhere the postal service will take him. 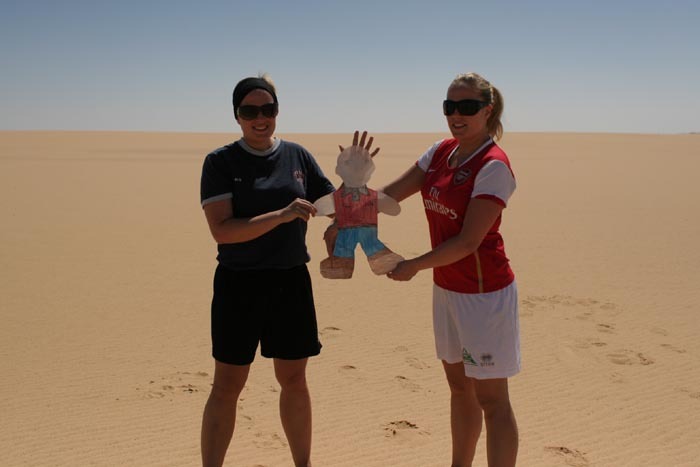 So he goes on grand adventures with family members in far flung locales. 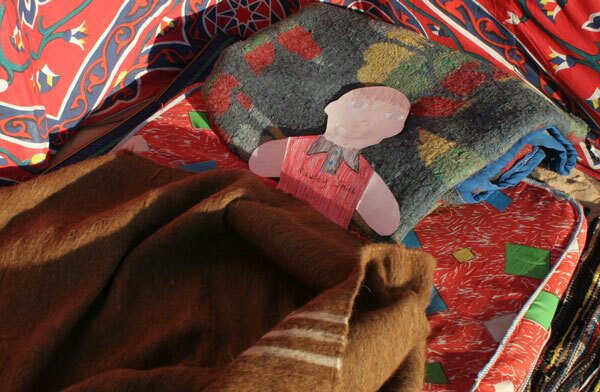 Inspired by the book, school children take part in a “Flat Stanley Project,” and make their own “Flat Me” dolls to send it off to friends and family. Their teachers use the photos and souvenirs that folks send back as a way to teach geography and a little history. Though Stanley and I are roughly the same age (the first book came out the year after I was born), he’s looking much more youthful than me. I was first introduced to him two years ago, when my goddaughter Stacey sent me a Stanley simulacrum in the mail. I took her friend Stanley along one day as I covered the Kerry campaign, and then I shot some arty stills of the paper tyke by the Brooklyn Bridge. 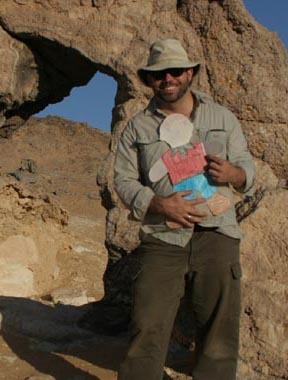 For the past month in Egypt, I have had a traveling companion in a waxed paper avatar of a young man named Rawley. 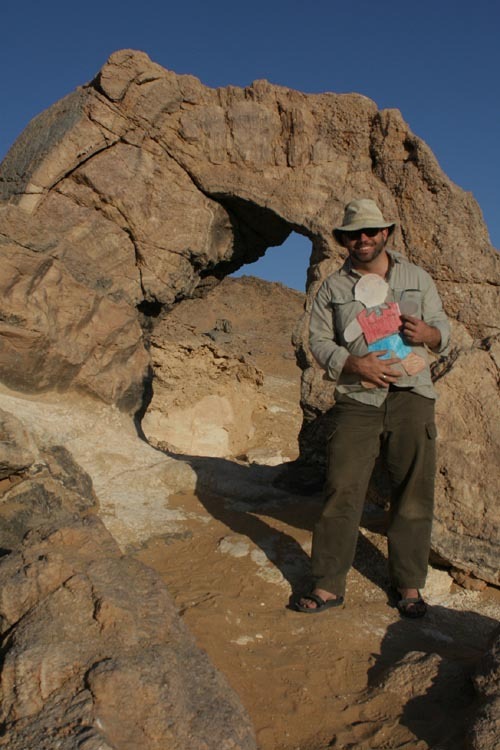 He’s gone with me on adventures to the White Desert and the Western Oases, the Sinai and the Red Sea. 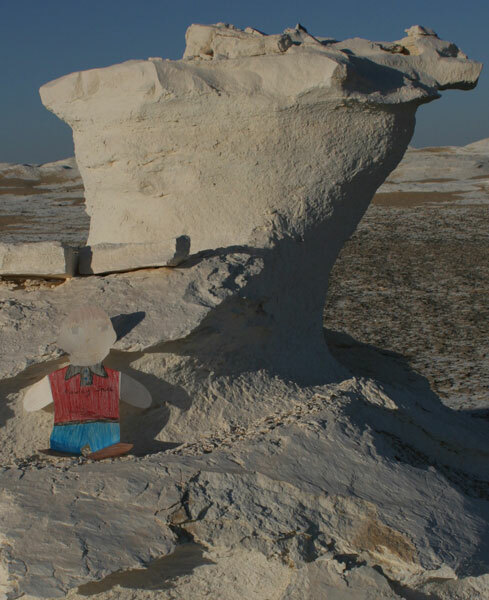 When I pulled Rawley out of his envelope to show him the White Desert, the first question from the Bedouin driver was: “Is it a man or a woman?” He smiled broadly when I said it was a little boy. Most folks didn’t quite understand why this eccentric American was taking pictures of a paper doll, but they seemed to enjoy it nonetheless. 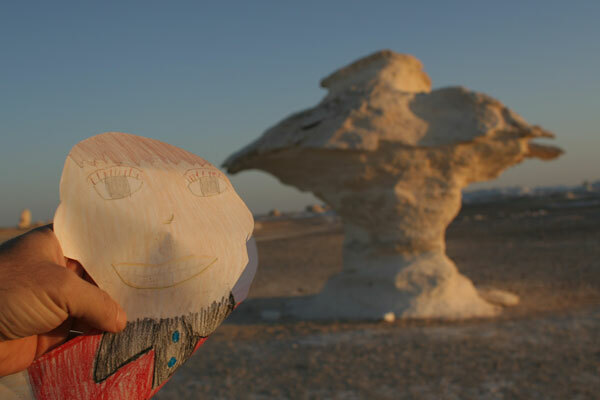 In the photos, you can see Flat Rawley at a natural arch at Crystal Mountain, among the brilliant blanched hoodoos of the white desert, with a pair of Icelandic Twins in the desert sands (while waited for the driver to fix a flat tire), snorkeling on the Red Sea, and at lunchtime in a Bedouin oasis hut. Last week, I sent him off to his aunt Kathryn’s — for a tour of CNN and the New York subways — before he lands in his grandfather’s house for a few weeks and then goes home to suburban Atlanta to tell tales about his great adventures to his fellow first graders.